Under the new Tax Cuts and Jobs Act, employers will no longer be able to deduct expenses related to transportation benefits, including parking, transit, or vanpooling. This eliminates a major incentive for employers to provide transportation and parking to their employees or any other expense relating to employee commutes for that matter. 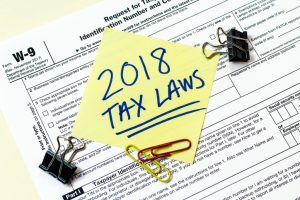 Fortunately, there are two minor exceptions that may allow employers to deduct these types of expenses in limited circumstances. First, employers can deduct expenses that are necessary for the safety of the employee during his or her commute. However, the IRS has yet to issue any guidance on what qualifies as a commuting expenses necessary for ensuring safety. So, the actual breadth of this exception remains to be seen. Second, employers can continue to deduct qualified bicycle commuting reimbursements until 2026. This provision, however, is limited to employers who do not offer any other commuting benefits. Mario Constanz is CEO of Happy Tax.